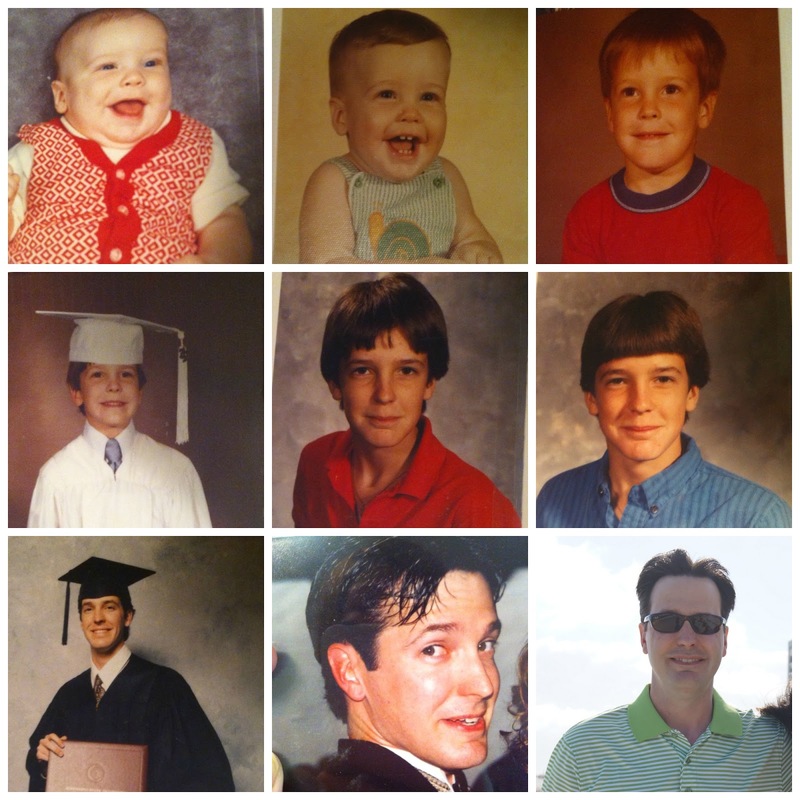 Sowell Life: Lordy Lordy, my husband is FORTY! That's right... today the Mr turns the big 4-0. But have you seen him lately? He seriously hasn't aged a day since 21. Okay, okay... I've probably given him a few gray hairs since we met, but you'd have to look really close to see them. He doesn't have any wrinkles, and I'd say he's in perfect shape. His mind is still pretty sharp, and he can make me laugh a thousand times a day. Even though you're 40 today, I promise to never call you my old man... at least until tomorrow. Ha! Happy Birthday honey! I love you, always!! You may have promised not to call him an old man, but I didn't ! Ha! Happy birthday to the old man! :) Hope it's a great one! Happy Birthday to your man! Without him giving you two massages, I don't know that we would have met! Thanks, Terry! Aw happy birthday to your mister! Love the photo roundup! Your husband is a good sport! You're right! He hasn't aged at all! Wahooo! Go Terry! Happy birthday! Happy birthday to your Mister! Happy Birthday Terry!! How's the view from the top of the hill? Happy Birthday Terry!!! Look at all that hair he still has!